What’s your most sentimental item? When it comes to playing the hat game, I take no shame in admitting that I’ve done a lot with it during my time playing Team Fortress 2. My backpack has become a mess of weapons and cosmetic items to help emphasize my vanity. Despite being a hoarder, I can safely say that I wouldn’t be heartbroken to see most of my collection go… with a few choice exceptions. I speak, of course, about the items with sentimental value; market value is easily displaced by the items that have some sort of meaning to the individual, and that meaning can vary. For some, it’s an item that began as something ordinary and grew to its sentimentality with time. For others, it’s an item whose very origin has a quirky or interesting story. The item may even be special simply because someone special gave it to them. My inventory contains multiple items with such stories, but today, I’d like to present you with a tale of two pans. “An anecdote of two pans” didn’t have the same ring to it. Back when I was relatively new and relatively hatless, I spent much of my time testing my hand against bots, fearing I wouldn’t have the capability or know-how to go toe to toe with actual players. When a close friend learned that I had started playing TF2, he quickly encouraged me to join him on a server and play Medic. My role taught me how to focus on dodging incoming attacks and help my teammates fight back, and despite the abundance of more seasoned foes, my friend was always there to protect me, so we’d either succeed or die together. Eventually, I felt confident enough to branch out into other classes, and began to pursue Soldier. When my friend saw my interest in playing what was effectively his main at the time, he presented me with a gift: an uncraftable Stainless Pot; a relic from his own collection. I didn’t know all that much about hats (although admittedly, at the time, the selection was much more narrow) so I wasn’t sure what I wanted out of Soldier cosmetics, but I wore that Stainless Pot with pride. In time, I had played and learned every class, and while I had picked up a few favorites, Soldier firmly established itself as my main class. Being that it was, I soon decided to reach out and claim my first Unusual hat, and I had my eyes set on a Stainless Pot. After a long search across various trade sites, I found and placed an offer on a Lv12 Stainless Pot with Massed Flies–a symbolic pinnacle for me, as it was my favorite hat with my favorite effect, and had a level which happens to be a second alias for me. Unfortunately, the offer was never met with response, and the hat disappeared shortly after. …However, it didn’t disappear forever. I’m not sure if it was the same hat, or if it had a long lost brother, but the same hat, unusual effect and level appeared on the Community Market around Autumn of 2013 for the price of your standard, AAA game. After mulling on it for a few hours, I decided to go for it, and I don’t regret the decision. I was given a second chance to obtain what was and still is my dream hat, and when opportunity knocks… well, you know the rest. So what became of the other Stainless Pot? Admittedly, I don’t wear it anymore, but it has a very special place in my backpack. Despite everything that I like about my Unusual Stainless Pot, if I had to choose one to keep, I’d go with the uncraftable one. It’s not just a hat to me; it was a present from a friend during the infancy of my TF2 career, and a step on the road I’ve traveled to become who I am today. 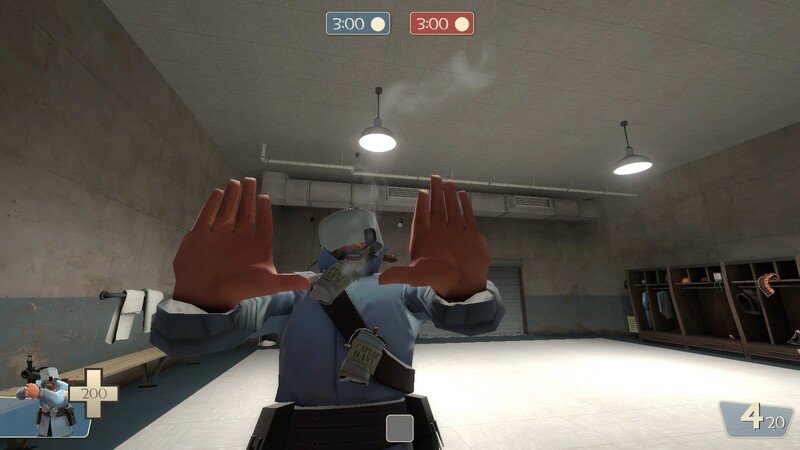 That friend and I still trade presents in Team Fortress 2; from customized Strange Pans, Australiums, and even a Max’s Severed Head at one point. But regardless of what other players might consider these items to be worth, my most valuable item is and always will be the first Stainless Pot. Phew! I didn’t think this would turn out so long, and I certainly don’t want this to be just about me. Do any of you have an item or items with high sentimental value? And if so, would you share the story of how it came to be? You mentioned that you would be willing to sell most of your backpack; well, actually, I recently did just that. Almost everything that didn’t make the sentimentality (or tradability) cut got axed for metal and keys. Most of the remaining items are now featured in the Item Showcase on my profile, and I consider those 10 items the closest thing I have to sentimental items. Especially my birds; Giddeon recently became my first ever Mann Co. Select strange! iGamr: Anybody who knows me relatively well (and is aware that I take part in answering these questions) knew my answer the moment they read the headline. I love this item so much I gave it the tackiest name I could think of, a coat of color-shifting dye (which I whined about on this very site once it got restricted to Full Moons), and three freaking sets centered around it. I think it’s safe to say I might even have a problem. The first of the three aforementioned sets. Notice the distinct lack of cleverness in the hat’s name compared to those of its Misc and Weapons brethren. It also does have a bit of a story to it. On the first day of the Robotic Boogaloo Update, I decided to try my hand at unboxing (since I could only get cosmetics, it sounded like it’d be more fun than opening crates containing weapons and such), and fate bestowed upon me an Electrostatic Modest Pile of Hat from what I believe was the sixth Robocrate. I quickly sold it for some buds, most of which went toward a gold-painted Vivid Plasma Soldier’s Stash. The tacky name followed suit, but the Die Job actually came some weeks afterward when I saw people discussing how well 2012’s Halloween spells went with the Filamental. I saw there was a yellow variant of it, nabbed what keys I could, and bought some so I could have a nice and somewhat unique touch to my set. Fun Fact: The hat used to belong to a (now former) friend of mine, who had to sell it to someone else for some quick cash before I get my own hands on it. It’s funny how a hat I used to be so jealous over ended up in my hands after all those months. What makes this funny, of course, is that I didn’t even find this out until after I’d already sent the seller a request, at which point I decided to peruse the item information while waiting for his reply. I guess it really is a small world! Medic: We have the Horizontal Line button for a reason, guys… Anyway, my backpack is full of sentimental things, because I often hate trading things that were given to me as a gift. Hence the reason why I still have my Hotrod, you know, that Engy welding mask. It was a gift from someone called Novalisk and it was the first hat I ever had apart from the Gibus. My most sentimental item is an even harder decision. Part of me wants to say Strange Kritzkrieg, because I emptied my backpack trying to get it but the sole hat survivor, a Pickelhaube gift from my brother from my first “TF2 birthday” has even more value. Then there’s the Overdose that says “Crafted by Medic” on it that I got on the Uber update. And the uncraftable Vita-Saw which amuses me no end. Or my Vintage Crusader’s Crossbow. The list goes on and on. So basically, everything’s sentimental to me. But top of the list, it’s definitely my Collector’s Overdose. Random people I barely know, working together to gather weapons to make something for little old me. Love you all.